It's always fun to try out new ways to explore your creativity . This soldered charm bracelet has been a project I've been wanting to create for quite a while now. It's always fun to wear your creative projects and I thought the beautiful Webster's Pages vellum would make a great charm feature. If you're interested in trying out soldering, Ellen Hutson LLC has a great variety of Simply Swank product. I'd suggest starting with the Simply Solder Creative Kit as it has everything you need to get started. Ellen has a fabulous in depth tutorial on soldering in a previous In Touch Newsletter here. The Simply Swank Solder Charm Bracelet includes the glass, bracelet and fittings necessary for creating the bracelet. All you'll need in addition is soldering supplies. Between each little piece of glass I've cut out and placed little pieces of Garden Gala 6x6 vellum and die cuts by Webster's Pages. The vellum is fun to use as it allows the light through the charm and also you only need one image per glass piece. If you decide to use paper which also looks lovely, you will want two images for each charm. Because these charms are very tiny, you'll need tiny images and the Webster's Pages 6x6 papers are perfect for this. Soldering takes practice and I'll be the first to admit I could use more of it. Just like it takes a while to perfect your stamping or other crafting techniques, the same is true for soldering. One important piece of information that somehow I overlooked at the start of my soldering journey was that it is crucial to take good care of your soldering tip. Thanks for stopping by the CLASSroom! Have a creative weekend! A couple of weeks ago I shared a necklace made from a Soldered Necklace Kit; today I have the second necklace that I made with that kit, along with some stepped out pictures for using the beading pliers to create charms. If you would like to see larger pictures, click on the pictures. From some Webster's Pages Petite Pages (Magical Wishes and a Sweet Life Combo Pack), I chose a couple of areas that I wanted to use as focal images, marked around them, and cut out inside my line. After trimming the papers, sandwiching them between cleaned layers of glass, and wrapping them with regular 5/16" Copper foil tape, this is what they looked like. They are now ready to be soldered. This is my basic soldering set-up. I have a heat proof mat underneath this quarry tile on my counter top, so I probably don't need the tile. But being cautious, and having waited a long time to get a studio, I think you understand! I generally use clamps, with that rounded brad head being turned up for stability, to hold my small pieces still. Be sure that you clam on the edge of the copper foil tape and NOT farther in on the glass. Here I have attached one jump ring and am ready to attach the second. Note that the opening for the jump ring is on the edge that will be covered with solder. If you have a problem holding the jump ring steady with hemostat pliers, a jeweler's helper will come in handy. When the jump ring is soldered on, the seam is covered with solder. If you happen to get the jump ring off center, just heat the solder, remove the ring, and try again. Next I want to show you how to create a loop on a head pin using the concave pliers. The pins and beads, except for the tiny seed bead that was from my bead stash, came with the necklace kit. You need to be able to create a loop to dangle the beads, however. The concave pliers are one of my favorite tools because they make loop construction so simple. Here I've started my loop. You control the size of the loop by scooting the wire up or down your pliers. I want a small loop, so I am working near the end of the pliers. You can see that my loop is almost complete. Before I can finish it, however, I need to stop bending and cut the end off. I use wire cutters to cut off the excess wire. Here are my five charms, along with a picture of what I started with to construct them and the tools that I used. Again, all beads and pins are included in the necklace kit except for the tiny white seed beads. In this picture, I am adding the longest charm. I am getting ready to solder the jump ring shut. Remember that you need to use a bit of flux on the area that you intend to solder in order to get the solder to stick. The bead charms really do add to the look of the necklace, and they are pretty simple to create once you get the hang of using the concave pliers. Try it! Thank you for visiting the CLASSroom today. Welcome to the Second Day of Ellen Hutson, LLC's Twelve Days of Christmas feature! Today we're on two soldering starters. I made a double-sided necklace pendant--does that count as two pieces? They can be worn with different outfits, so I'm counting it as "two soldering starters." I started with the Simply Swank Necklace kit, which makes two 18" necklaces. Because I wanted a longer chain to go with V-necklines, I went with a 20" length and will finish the remaining part of the chain as a shorter necklace. The kit comes with both trapezoid and rectangular glass, as well as jump rings, catches, head pins, and beads with which to decorate the pendant and the chain, if you wish. Using my trapezoid glass pieces as a template, I chose a basic black pattern for one side of my charm, and a more intricate pattern for the second side. Papers that I used were from Graphic 45's Fashionista line, Debutante and En Vogue. Tip: When you trim your papers, make sure that the papers do not extend past the glass. If they do, you will not be able to get the copper foil tape to adhere perfectly to the glass edges. Here I have wrapped the glass/paper sandwich in 5/16" copper foil tape, a little wider than I normally use, but I wanted plenty of solder on both sides since the piece is double-sided. I burnished the foil firmly against the clean glass, using an old bone folder. It is now ready for solder. Shown above is the black side of the pendant (before I repaired the discolored links). In the picture above, I have added some dangling beads (all included in the kit, except for the tiny seed beads at the bottom). The most helpful tool for creating loops in order to hang the beads from jump rings is the Concave Round Nose Pliers. I cannot even tell you how much I love these pliers! They are the simplest tool for creating a nicely rounded wire loop--I wish I had discovered them sooner, and I would have used more beads along the way. I could have added black, clear, and silver beads along the chain with the beads and head pins included in the kit, but I'm a pretty basic person. I think I'll wear it more often with it being a bit simpler. I'm looking forward to creating the second necklace from the kit, and perhaps I'll get braver with the beading on that one. Thank you for visiting the CLASSroom today! Don't forget to read on to participate in our blog candy for our two soldering starters! What hobbies/crafts other than rubber stamping and card making do you currently enjoy? Have you tried soldering yet? Do you enjoy gardening, baking, cooking, quilting, knitting, crocheting, sewing...??? If it is rubber stamping and card making that's OK too - simply leave a comment telling us what you enjoy doing to releive stress. Don't forget the First Day of Christmas drawing - Ellen's Favorite Scoring Tools. Be certain to answer the question on that post to be included in that drawing! First, I trimmed my tags down to fit within the glass sandwich, making the paper ever so slightly smaller than the glass. You do not want paper sticking out to prevent your copper foil tape from sealing well against your glass. Next I wrapped copper foil tape evenly around the edges of all three pieces. I chose the ripple edged copper foil tape from the variety pack to add a bit more interest, burnishing it well to be sure that the tape would stay put when it got hot. Here you can see my initial rough soldering job. If you click and enlarge it, you will probably see some places where I need more solder. By the way, that is a quarry tile that I am using to protect my counter top from stray pieces of molten metal. I'm going to get one of these heat proof mats one day though! Here I have added some accessories at the tops and bottoms of the ornaments, including jump rings and Victorian Filigree. If you enlarge it, you will also see that I have some discoloration on the tops of the center and left pieces where I got the decorative piece a bit too hot. I went back and re-tinned them (brushed them with flux and added a thin layer of solder). Here I've added some lovelies on the bottoms of each piece--ranging from the chandelier crystals, to some miscellaneous beads that I had in a box, to a Maya Road pin that I cut off and attached with a jump ring. This was a fun project; my nine year old was impressed; "Can we keep them, Mom?" he asked. Thank you for visiting the CLASSroom today! I started with a decorative branch and two sprigs of tall silk flowers from the craft store, and stuck them in floral foam inside the vase. Alternately, you could gather some small limbs from your yard and either leave them natural or spray paint to coordinate with your theme. I decided the arrangement needed some signs of Spring . . . birds & butterflies! So I cut two large butterflies from Basic Grey's Porcelain paper with Spellbinders largest Nested Butterfly die and adhered them back-to-back, so it would be double-sided and pretty from either side, too. It was adhered with a mini glue dot to one of the top small branches. I die cut three medium butterflies from another pattern in the Basic Grey Porcelain collection (using the same Nested Butterfly set) and adhered two of them on top of each other, only in the center of the butterfly's body, to give the butterfly more dimension. The other die-cut butterfly was adhered to the back of the base butterfly so it would be nicely finished, too. A piece of looped heavy thread was sandwiched in between the layers, to serve as a hanger. The bird was die cut with Spellbinders largest Nested Bird die from Basic Grey Porcelain paper. He is also backed with more of the same decorative paper, to make him two-sided (also with thread sandwiched between the paper layers, to serve as a hanger). To get the mirror image you need for the back side of the bird, die cut from the back (white) side of your paper (if you are using a single-sided decorative paper), as opposed to die cutting from the front/patterned side of the paper. He is backed with some pretty Spring floral paper from the Memory Box Poppyfinch collection, sandwiched between 1.50" x 2" Oval Glass pieces. I used the Wavy Edge Copper Foil Tape (which is straight on one edge) and Simply Swank's Lead-Free Solder to solder the pieces together. The Heart Solder Scrolls were used at the top, to form a hanger for the White Silk ribbon. For my egg, I used the angel from The Rummage Bin's Storybook stamp set. The angel was stamped with Memento Tuxedo Black ink onto Memory Box Poppyfinch paper. If you can't make out the words on the angel's wings, they read "rejoice & believe" and she is holding "love" -- very appropriate for Easter, I think. 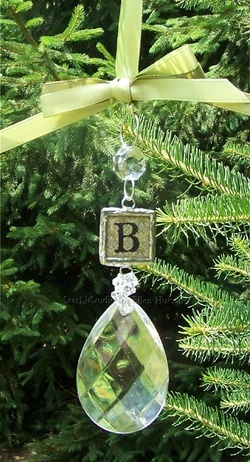 You could always take these "eggs" off the tree and wear them as pendants, too! I know this project is a little late for most of you to be able to replicate for this Easter holiday weekend, but I hope you'll keep it in mind for next year ... or better yet, start on it now so you'll already have it for next year! Alternately, you could use this idea for most any holiday or occasion ... the items you put in your arrangement will make it unique to you and the occasion you are celebrating. Many thanks to Ms. Ellen for suggesting this wonderful idea for me to carry out! We hope all of you will have a lovely Easter holiday this weekend -- thank you so much for visiting! It's the Second Day of Christmas at the CLASSroom, and since I didn't have any turtledove stamps, I thought I'd share a soldered charm with you. I started with a stamp from the CHF Shoe Boutique set, as well as some Basic Grey 6" x 6" Eva papers. I chose the "Lucky to be me" stamp and some 1-1/2" square Memory Glass pieces to serve as the base for my finished piece. I stamped the image three times, once on the bottom floral pattern, once on a solid pink pattern, and last on a dotted pattern (with some modifications, shown on the left). I cut the heart shape from the solid pink pattern and layered it on top of the small floral background, and then masked off the dots inside the shoe so that I could stamp a patterned paper shoe. What worked best for me was to stamp the shoe on the sticky side of the Eclipse tape, cut it out right inside the line, place the mask on the rubber, ink the stamp, remove the mask, and then stamp the dotted patterned paper. I did not get a perfect line after removing my mask and stamping, but a few strokes with a Copic Black Multiliner fixed the shoe lines. I then cut the shoe out and layered it on top of a second piece of glass, adding a tiny bit of adhesive to the back to hold it firmly in place. Here is a picture of the layers, in order from left to right. Next, I wrapped the sandwiched layers in 5/16" copper foil tape. Also, click here for the CLASSroom soldering projects. Have fun! Oh how I wish I had more, more, more time!!! I have been wanting to share a 3-layer soldered ornament for some time now. Yippie - today is finally the day! Everything must always come in order so that I can share and teach different techniques in steps. I find it easier to learn if everything moves in sequence and so I always try and do that when teaching some of the things that have been on my mind. But with so many things I do get a little scattered - sorry about that! A couple of years ago I shared some Christmas ornament projects that were paper collage oriented. As you can see I did a LOT of experimenting to determine what it is that would work best to create these beautiful little pieces of "art" on glass. Here is a second post. At that time I was teaching in local stamp stores and I did not want to reduce class attendance at the stores in which I was teaching by sharing all the information on my blog. Well now this is my CLASSroom, and so I am excited to begin the process of sharing some of my old favorites with you now. I hope that you find them as exciting as my students of old did and will be tempted to just give it a try! I will do my best to get the paper Microscope Slide holders up in our store asap. They have been sitting on my shelf gathering dust and it is time for them to be put to good creative use. With our new Studio Line, amazing stamp lines and so much more I am giddy to see what it is that you will create!!! 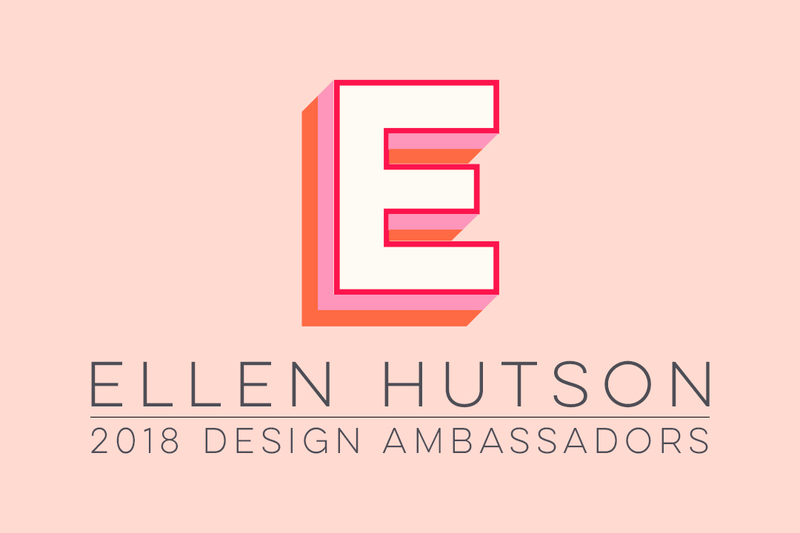 I would also appreciate private emails if you would like having access to the more "everyday" items such as the glass paint, Lumiere and other products that I use in this process - please send any thoughts to customerservice@ellenhutson.com. I don't want to have items that you already have in your stash, or you can purchase with coupons for a lot less at other places, because I want the dollars you spend with us to be the best value for you. Unfortunately I just can't compete with big box stores and so I would love to hear whether or not these would be items that you would like me to have online to include in a one-stop shopping experience even if it would cost you a little more. I apologize for the state of this picture. This glass is actually transparent, not frosted. With the light hitting it I just had a really hard time getting the camera to focus and shoot a decent picture. To begin I am going to direct you back to my simple dreams post - Gold Leafed Wise Men. I have shared some tips and techniques in that post that I believe you will find helpful when using gold leaf. It is important to give your glass time to dry - being impatient Ellen I will typically heat seat it with my heat embossing tool. Be certain not to touch the glass though, because it gets REALLY hot! Next, I inked the sleigh with my glue pad and stamped directly on the glass. Being the glass is not porous, it does take longer for the glue to set and dry. Apply your gold leaf in a similar method to the Gold Leaf Wise Man post. It would be best to allow this to dry for at least a half hour before proceeding. Using a soft bristled, yet firm, brush remove the excess gold leaf, burnishing the surface in a circular motion with your brush. To create the top layer of glass I used the star from Primitive Christmas. Again stamp the star using Palette ink and heat set before painting. I like to use contrasting paints on glass and so I use a mixture of Transparent, Iridescent and Matte paints to complete this process. You will find the Delta Glass Paint - 8 Transparent Colors and 8 Iridescent Colors, available at Michaels. I typically start by applying the transparent color, followed by the iridescent colors. Allow the paint to air dry between applications. This paint is considered heat safe and so I had no problems during the soldering process with the paint becoming "gucky. I then completed the painting process by using one of the new Studio paints. This matte like finish provides a nice contrast to the shiny, brightness of the glass paints. I LOVE the creamy smoothness of this paint and will be sharing a lot more over the next few weeks showing you how to incorporate these wonderful fine art products in to your creative process. A little of this paint goes a LONG way and Claudine has created some fabulous resources that I will be sharing with you! As you can see I did not fully cover the stars being I wanted the layers that were below to show through. I created the middle layer of glass by stamping the Rejoice image from Winter Signage. (I can't link to it right now because we are currently out of stock, but hopefully it will arrive tomorrow or the next day. Then if I remember I will come back and link it Ü) One of the steps I forgot to photograph is key to this project. Sometimes I get so excited about the next step that I forget to pull out my camera. Arrgh! The next step was to airbrush the Rejoice slide with the brush tip end of my Copic Marker. This gave a lovely cranberry colored "spritz" or "splatter" effect on the back side of this glass layer. Follow along with the soldering lessons Debbie and I have shared and this should get you through the next steps of putting the ornament together. I found that using three pieces of glass was not a problem with the width of the wavy tape. If you are not in to the whole "soldering" process, then Ranger Memory Frames and Slides (they are on the first and second page of our Odds 'n Ends section) are a wonderful alternative. There are so many ways to add additional layers to your glass "sandwiches". Hopefully I will be able to share the paper collage portion with you soon. I would LOVE to see any projects that you create for the holidays. Link us up ladies - we are so curious to see what you create with the information we share! This card all came out of my desire to use the absolutely ADORABLE little jingle bells that will be added to our store shortly. I apologize for not getting them up on our site today, it was my mission and I failed - LOL! Just too many things to do and not enough time. Being I didn't have a blog post available and set to go live today I decided my mission was to share the creative process of this project and figured that you would be able to find the jingle bells on your own in a day or two. To begin I stamped my IB Ornaments on Frost paper and colored it in using the Copic colors shown above. It was easy to select the correct size circle. I simply placed my 1 1/4" glass circle over the dies and selected the one that coordinated. No measuring necessary. Then I needed to determine which foil would work the best. Being this is such a small glass piece I knew I needed to use one of the foils on the left. Being I had never worked with the wavy foil before I decided to give it a try. I wrapped the foil around my glass project and discovered that the scallops did not line up. I decided at this point I could do one of two things - start all over again with the simple straight-edged foil or move forwards and figure out a way to make it work. I am really glad that I went with my gut instinct and decided to make it work because in doing so I learned a valuable lesson that I plan on sharing with you today in hopes that it will help you avoid the mistakes I made. Using my Xacto knife I trimmed off the bottom wave and brought it down to extend it in to a "longer wave." On the back side I pressed the foil down evenly working my way around the exterior, almost in a similar fashion to what you see on wrapped chocolate coins. Unfortunately I forgot to take a picture of the final look of the project. I followed this by using my teflon bone folder to burnish the foil down completely. One of the most important aspects of soldering is making certain that you have done a clean job of affixing the foil. I then used my Xacto knife to once again trim the foil to create a smooth circle. As you can see in the photo (that I did remember to take - LOL) the foil when burnished in place looks quite pristine. Now this is when I made my error. Because I get SO EXCITED to put that first bead of solder on my project I didn't really analyze the position of my "extended wave." It was a duh moment later in the progress of this project that I realized I should have started all over and place that "gap" at the top of the ornament right below where my decorative filigree is affixed. Oh well, now at least you know what NOT to do. I'm such a perfectionist, but unfortunately there just wasn't enough time today to redo this project and get home in time to meet my little one's bus. Another new tool you will find in our store is one that I am quite enamoured with. You all know my passion for piercing and perfection (LOL). Well my little Stampin' Up! piercing mat has seen much use over the years, but my biggest pet peeve was having to realign it to continue a row of piercing that extended past the mat. Then I might miss and have it quirk off at one end. Problem solved! Tim to the rescue. My problem has been solved in a way that gratifies, being there is a LOT packed in to this ruler making it a good value! It is clear and divided into a grid pattern making alignment easy. It also has centering information on it, a steel edge for cutting with your Xacto knife and NOW holes - holes evenly spaced the ENTIRE length of this ruler. LOVE IT! Adding a line of piercing above and below the ribbon was the perfect final touch being I felt it needed just a little more texture. Also one last tip - do you see how amazingly shiny the solder on my project is? Well, the Super Shiny Solder Polish is most definitely SUPER shiny. I love how it removes residue from my project and helps the solder just sparkle when completed. For those who have never soldered before we have two fantastic tutorials for you to learn from here on our Newsletter Blog - In Touch. Fuss-free stamping! Stamp just a single mongram then complete the soldering. Stamp monogram on both pieces of 1" square Provence paper and adhere back-to-back so ornament front and back are identical. Create a bunch of these to have on hand for last-minute holiday gifts when it gets crazy in December! This would also be an ultimate package topper. Isn't this Lockhart Snowman inchie image the cutest? I knew when I saw him that I wanted to make a miniature ornament window card with him! 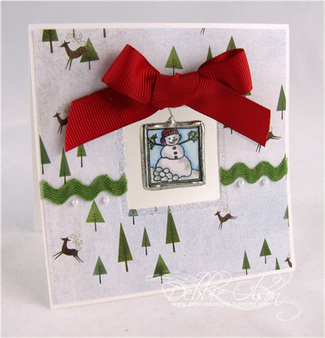 I started with a 4-1/4" square card base with a 4-1/8" square mat layer from the Memory Box Frost collection. I then aligned a square Spellbinders Nestability in the center of the card front. TIP: If you need to find the exact center of a square, use a ruler and lightly pencil two diagonal lines, reaching from corner to opposite corner of your card. Simply align your die with the lines on all four corners, and it will be in the center of the square. After cutting and embossing the window, I added some May Arts rick-rack and self-adhesive pearls, as well as some microfine clear beads (glitter would be fine too) around the frame of the embossed area. Now I was ready for the inchie ornament. I colored the Lockhart Snowman inchie image with Copic markers in these colors: R46, B000, YG24, 0, and C2. The area that looks gray on the right side of the snowman isn't really gray; it's microfine glitter. However, once it was compressed under glass and photographed, it looks like a shadow rather than like the shimmer that it actually is! I used 1" square memory glass to sandwich the colored image and a scrap of Frost cardstock on the back before soldering the ornament. For a hanger, I used a tiny inverted "S" hook. The red grosgrain ribbon is attached to the hook by a glue dot and could easily be removed to allow the ornament to come off of the card. I love soldering! It lends a feeling of permanence to paper creations. And soldering inchies is quick and easy. Have a lovely day! Tip: Try using a Pop-Up Glue Dot to temporarily affix a monogram holiday ornament to a simple card front.